Once operating as a Hydro-Electric station, our industrial buildings have been gently transformed into an intimate retreat catering to adults. 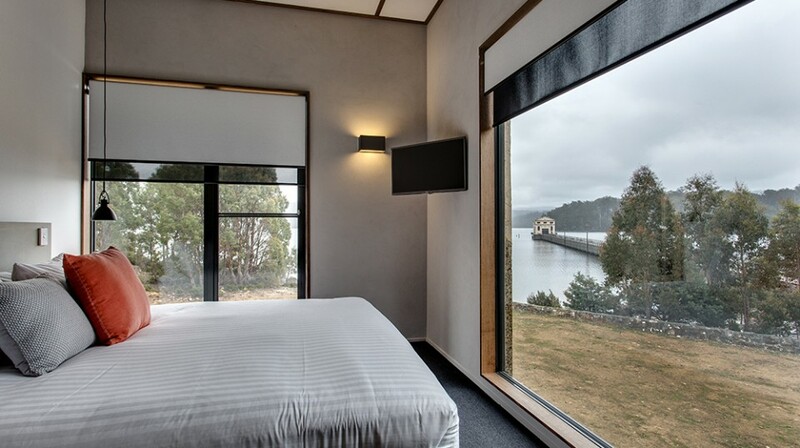 Set over Australia’s deepest lake and surrounded by some of the most celebrated wilderness on the planet, Pumphouse Point is an experience open only to our overnight guests. 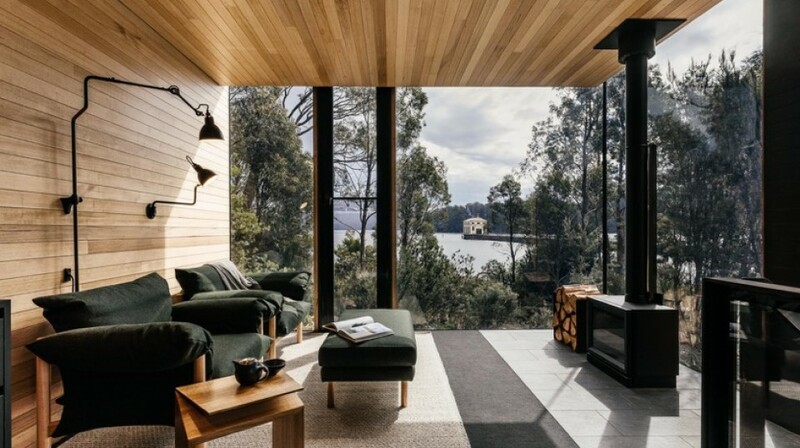 Located on the land in the Shorehouse building, these two rooms do NOT have a lake view, instead facing inland towards the bushland and reception cottage. Accordingly, these are our lowest priced rooms. With postcard views from the Lounge just a few steps away, these rooms are exceptional value. Suitable for a Maximum of 2 adults. From $295 per room, per night, including our Highlands Breakfast. Located on the land in the Shorehouse building, nestled among the trees on the water’s edge with exceptional views of the lake and bush surrounds, this room boasts some of our best views. Not to mention the luxury of being able to roll down the stairs to breakfast in the morning! From $420 per room, per night, including our Highlands Breakfast. 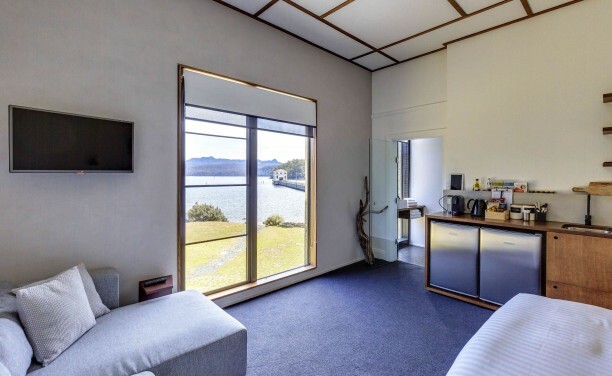 Located on the land in the Shorehouse Building, for those who wish to soak in the hot highland water after a big day exploring the wilderness, these peaceful Shorehouse rooms will be perfection. 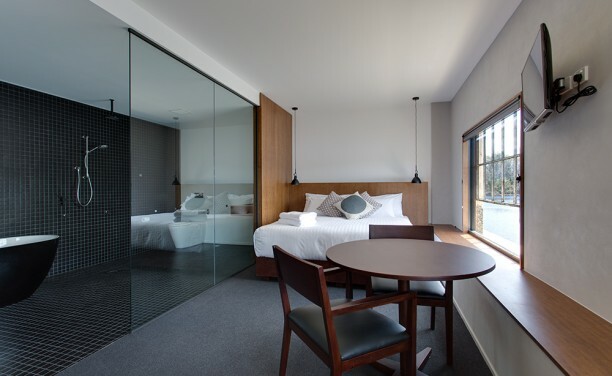 From $450 per room, per night including our Highlands Breakfast. Located on the land in the Shorehouse Building, this may be the most impressive real estate of the property, with panoramic views through huge windows across to the lake and mountains beyond. 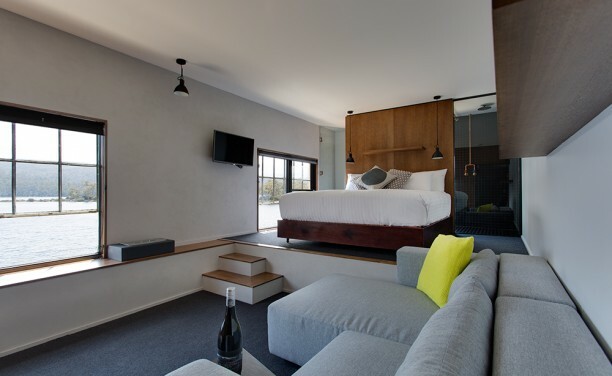 It is also one of our most spacious rooms, making it a firm favourite among guests. Prices From $470 per room, per night including our Highlands Breakfast. 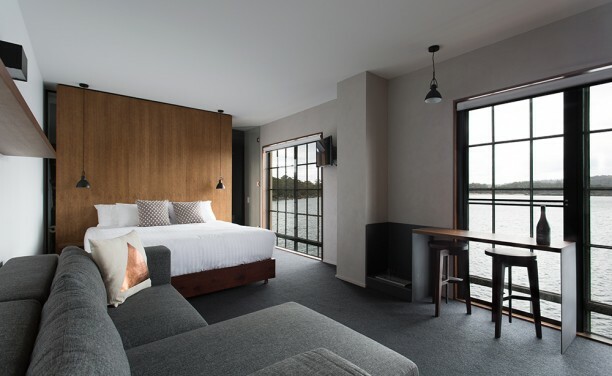 Located on the water, the ground floor of the Pumphouse building offers four comfortably-sized rooms, each with its own unique character and connection to the lake. 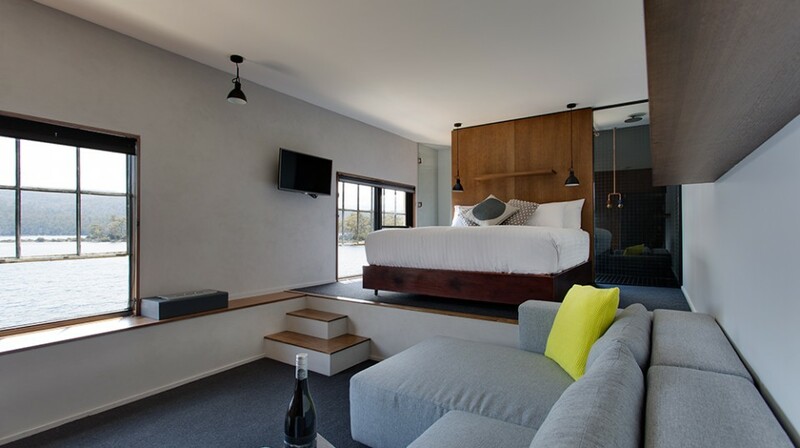 With no steps to climb and the lounge and bar nearby, Pumphouse bliss is right at your fingertips. From $495 per room, per night, including our Highlands Breakfast. 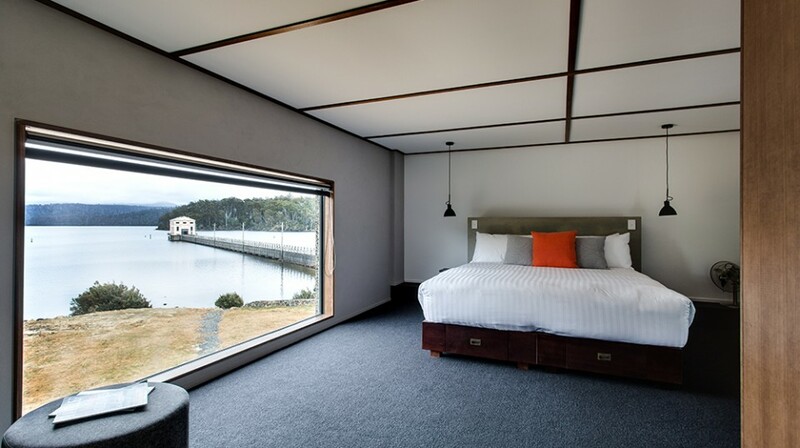 Located on the water, the four rooms on the middle floor of the Pumphouse have just the right elevation to provide the unique feeling of floating on water. With floor-to-ceiling windows looking out over the Lake, you won’t want to leave… and you won’t have to. From $530 per room, per night, including our Highlands Breakfast. 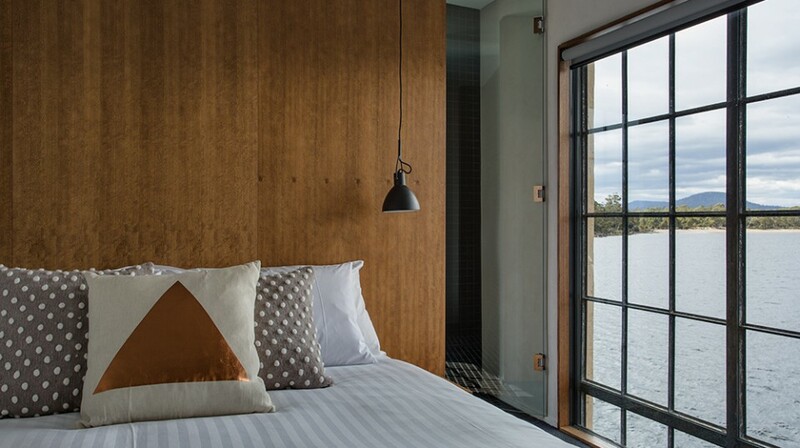 Located on the water the Pumphouse Top Floor rooms offer distinct architectural styling. 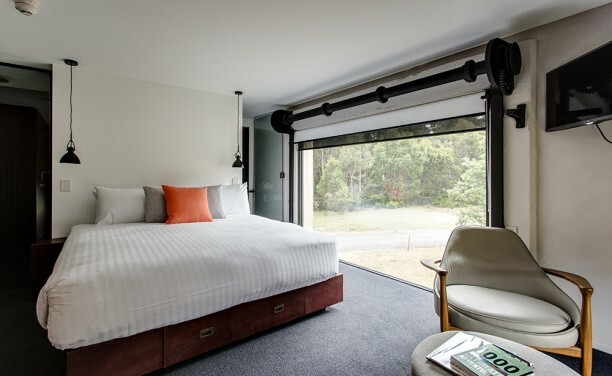 Designed with a split level layout, providing a sunken lounge & elevated bed level. 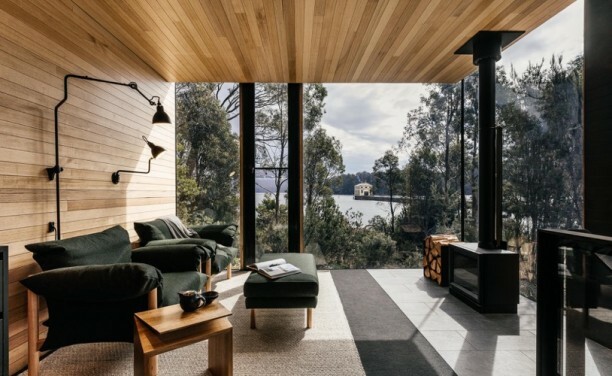 Their elevation over Australia’s deepest lake makes these rooms a highly sought after location. From $570 per room, per night, including our Highlands Breakfast. Located on the water, at three storeys of elevation, plenty of space and a giant bathroom with a decadent bathtub. 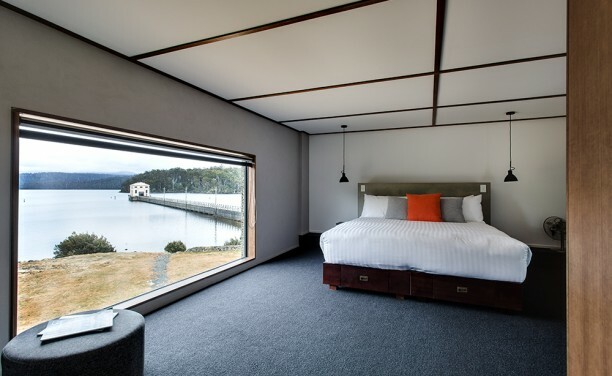 The pinnacle of the Pumphouse Point experience, these two rooms have a magic never to be forgotten. 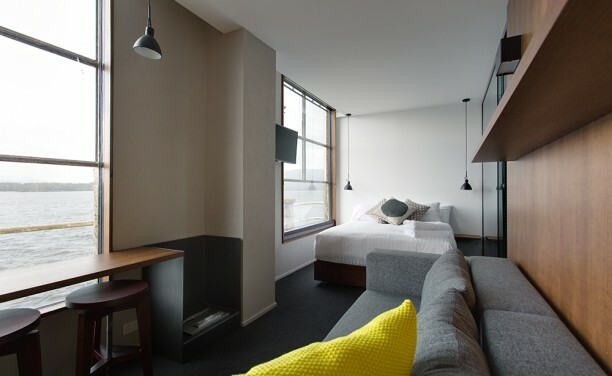 From $610 per room, per night including our Highlands Breakfast. Hidden on the edge of the lake, hugged by native bush, our new all-inclusive wilderness experience, awaits. From $1440 per night all-inclusive of breakfast, dinner, larder, cellar and more.